This is a category to put all the Rocksmith stuff together. 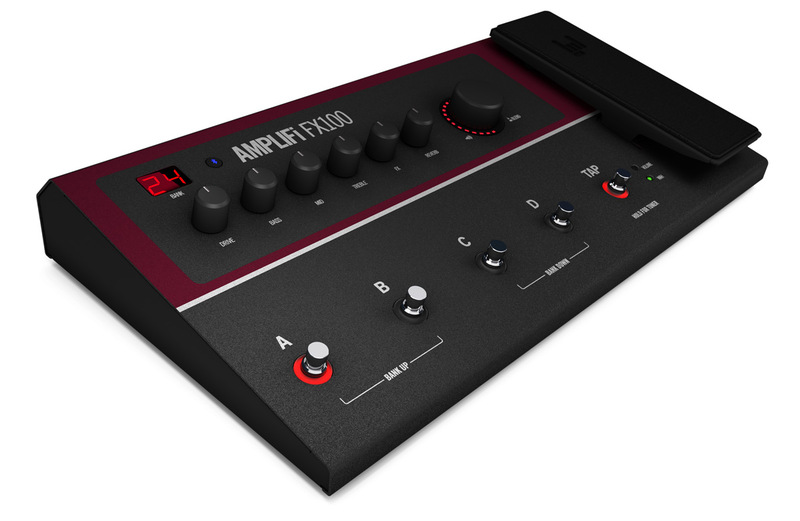 Just received a Line6 Amplifi FX100 as a gift, it’s a multi-effects pedal on steroids. – It has man built in AMPs and Cabinets plus all the pedals I could possibly want/need. It is a piece of hardware that has a bluetooth connection to and Android or iOS device. I am using it with my Nexus7 and setting up the FX100 so I can play Rocksmith songs and use the pedal to play the tones that I need to sound like the song. – I have already created a couple of custom tones based on the Rocksmith tones, they are pretty analogous if you use your judgement to select similar amp, cabinet and pedals. There are some things you need to know to get the FX100 working and the documentation is pretty sparse but once you figure out the basics it’s lots of fun. I will work on documenting some of it here when I get the time but for now, I think it’s very cool. One of the ideas I had is to use the FX100 to find a tone for the CDLC I am creating then use that a basis to create a new custom tone for my own CDLC. It should be fun to try. – I just wish I had more time to do that. I was able to set up a few tones, load them on the hardware and the navigate using the foot switches to the bank (25) that has my tones in it then navigate through the tones using foot switch A through D. It works pretty well, if you have the Nexus on the screen showing that bank, clicking the foot switch will change the current tone on the Nexus, it’s pretty slick. I have already uploaded one tone to the Line 6 tone cloud and expect to get a little more prolific with that. Open Editor On Fire (EOF) and click file/new to start a new song. It will prompt you to pick your music file (usually an mp3 file) Remember that you can make an mp3 from a YouTube video if you are hunting for a music track. There will be a dialog that asks you some music information fill in the appropriate fields. Once you have the song loaded you will see this screen. Of course you can’t see your song wave yet because you haven’t switched it on. Now add a leading silence to the song before you start modifying anything. You need this so the song doesn’t start too quickly in Rocksmith. About 3 seconds will do the trick. The EOF will update the ogg file to add the silence. Now under beat update the bpm. If you don’t know the bpm you have to figure it out. This is critical to getting the timing right. If you don’t have the right bpm your song tab won’t line up. Now we need to set the track to which track we are creating. You can use part real_guitar for the lead or the rhythm you just have to keep track of what you assign where. If you don’t select part real_guitar or real_guitar_22 you may not be able to modify Rocksmith specific features. Also, you won’t be able to import the guitar pro tab. Select your guitar pro tab for the song. If you don’t have the tab you are going to need it or you will be entering all the notes manually. You can edit and create guitar pro 5 tab in Tux Guitar. It will allow you to play the tune and hear how the tab will sound. Remember that all of the component parts are very important. If your song doesn’t play the exact tab you have selected then you will have to modify to make it work in Rocksmith2014. When you import the guitar pro file it will ask you if you want to use the time signature and other setting from the guitar pro file, it is up to you. Do what is best for the final outcome. When you import you may have multiple tracks in the file. You can import the one that you want for this track, you can always import the others later. (The one in the picture only has one track “Guitar” so that’s what was imported). Once you have imported it, you will see the notes from the tab and the wave form together. It’s obvious from this that the notes start too early in the file. To change that you can drag the beat marker to the beginning of the wave form. Once you do this, if (a big if) all the notes line up with the music in the wave form, you are in great shape. Chances are they won’t and you will have to do lots of manual manipulation to the file in EOF. Take your time here as the final outcome will only be as good as your EOF file and its timing, song to notes and how they play. You can review the notes in EOF an see how they line up whilst you listen to the music in the wave form. As you advance the music, you will see the notes in the 3D view lining up with the timing markers. You can check to see if the notes are going to be presented at the exact time that you they should be played. Remember in EOF you can fine tune the tab by adding, removing and adjusting individual notes and chords. Once you have lined everything up you can import your lyric file, this will display the lyrics in time with the music. If you don’t have an lrc file you will need to make one. It’s quite time consuming to line up the words with their timing markers but it will make a much better final product if you do it. You can use UltraStar Creator to create a lrc file that will work with EOF. Now you have your file set up, you can add sections to break it up in Rocksmith and allow the dynamic difficulty to be added later. Just try to break the song into sections that make sense. Intro, Verse, Chorus, Outro etc. These are going to be important for riff repeater use too. Finally, save the file and open up wwise so you can make the ogg vorbis files and the wem that you will need to create the usable psarc file. Click on new to start a new project in Wwise. Once you have filled in all the required boxes you will have created some project files in it’s own Wwise folder. Right click on the Default work unit and select Import Audio Files…. Select the happy birthday files from EOF then click on source setting on the right hand side of the screen. Make sure you have selected stereo then click Edit… here. Click convert and it will create the Ogg Vorbis file that you need. Do this same process for the song preview that you created in EOF. That will give you the files that you need to make the psarc with the Rocksmith Creator Toolkit. In the creator you are going to create your Dynamic Difficulty first, this will create new xml files that you need. Select the DDC tab and click Add. Add your guitar part xml file. This is the xml file you created in EOF. Now select ddc_8_max_levels under options. Set the phrase length to 4 and click Generate DD. This will make a new XML file that DD in the name. It contains the information required for Rocksmith to use dynamic difficulty. Now in Platform make sure you have only selected the platforms you want to create. In my case just PC. Then fill out the information for the song you are creating. Select a song in the drop down box that you already own the DLC for. It can be any song as long as you own it already. Under files select the wem button to choose your wem file that you created with Wwise. You can select the file you want then when you create the song it will ask you about the preview file too. Select the album art that you have for your song. If you don’t have something, you can go on google and under images select something that has exact size 512×512. This will give you the best result. Under the arrangements click add. In the pop up box you can select the XML file for the arrangement you are adding. Select the DDC_Part which is the XML with the dynamic difficulty in it. Here is where you can select Lead or Rhythm as the arrangement. You can also select the appropriate tones. If you have your own or you just want to use one from another song. Do the same thing for the vocals then, click generate. It will ask you where you want to save the psarc file. Once you have the psarc file (for the appropriate platform) you can copy it to your Rocksmith DLC folder. It is in c:\windows\Program Files(x86)\Steam\Steamapps\Rocksmith2014\dlc folder. Start Rocksmith and your new song should appear in the appropriate area (Lead, Rhythm etc). You should be able to play the song, see the dynamic difficult and enjoy! Scroll to the position you want to have the switch at: idealy not exactly on the first note with the new tone, but a little bit before. Otherwise the note might get chopped of or something and in reality you would hit your pedal right before you play the next note as well. Give it a name. Careful: The name must be one from the Tone Name dropdown menu you find in the Toolkit under Edit Tone. The same names will be associated to another. Under Track->Rocksmith->Tone Change->Names you can (and maybe must) define the default tone. When I first got Rocksmith (RS) I was trying to figure out the best way to hear me playing along with the backing track. I started out just listening the PC speakers but to be honest, they were lack luster. I then switched to headphones, they protect everyone else from my noise and they all me hear everything but, they were literally making me deaf. After playing my ears would be ringing (I know I could turn it down but then you don’t get the same feeling). So, eventually I got my VOX guitar amp out and set up my computer output to go straight into my amp. The VOX amp has all kinds of built in effects but RS has the effects built in so I just wanted to amplify the output clean. I set the VOX up to do that and now when I play I hear my guitar with the RS effects and the backing music and lyrics all through my amp. Of course with my amp, I can make it much louder than I need it so I try to manage that carefully so as not to shake everything off the shelves! The setup is pretty simple, I connect the RS realtone cable from my guitar and into the computer as normal. I have a cable that runs from the computers headphone jack to the guitar amp input (1/8 to 1/4). I bought a cable to do this that is long enough to reach between the two without issues. – I know this is just using the amp as a glorified PC speaker but it works for me. I also have a cable splitter that will allow me to cable to the computer and separately to the guitar amp. This gives me the guitar sound coming from the amp and the RS sound coming from the computer. The problem for me is then I have to create effects to make my guitar sound the way it should for each song. Although that sounds like fun, it will take way more time than if I just work the way I have it now. One of my favorite things to do is play my guitar. When I play, I usually play a video game from UbiSoft called Rocksmith. This is not an ordinary video game, for starters it uses a real guitar. Essentially you plug your guitar in to the computer using a special “realtone” cable. This takes my analog guitar sound and turns it into a signal that the computer can read. The game is very full featured, it has several ways to learn and play guitar and bass. The learn a song part is similar to the Guitar Hero presentation. There is a note highway that send down notes for you to play, if you play them all on time you are playing the song (lead or rhythm). The ingenious part of this, it uses a thing called dynamic difficulty. It will present a subset of the notes from that song to you the first time through. Depending how well you do with that it will start to give you more notes and based on your score it will continue to make it more difficult until you are playing the whole song. – A brilliant way to coach you through learning a song without having a real live teacher.